Gulab Jamum – 300gms small one’s, they are called Angur Jamun and A2B. For the Base1 packet Digestive Biscuits crushed & mixed with 50 Gms melted Butter . Line the spring back pan with the above mixture & freeze it. Melt gelatine with warm water & melt over Double boiler. Beat Cream with sugar over bed of ice till peaks form. 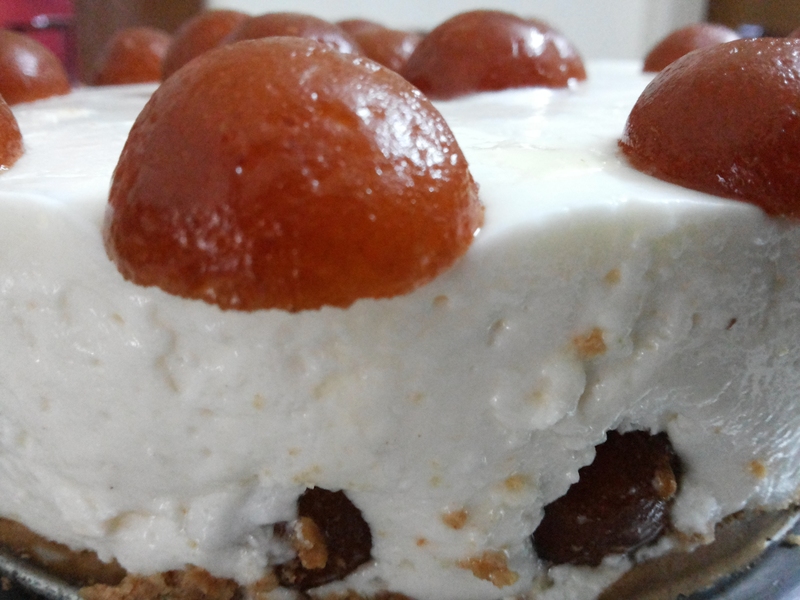 Blend in melted gelatine , blend once again adding in Milk masala and milk Mixture , essence , hung curd. 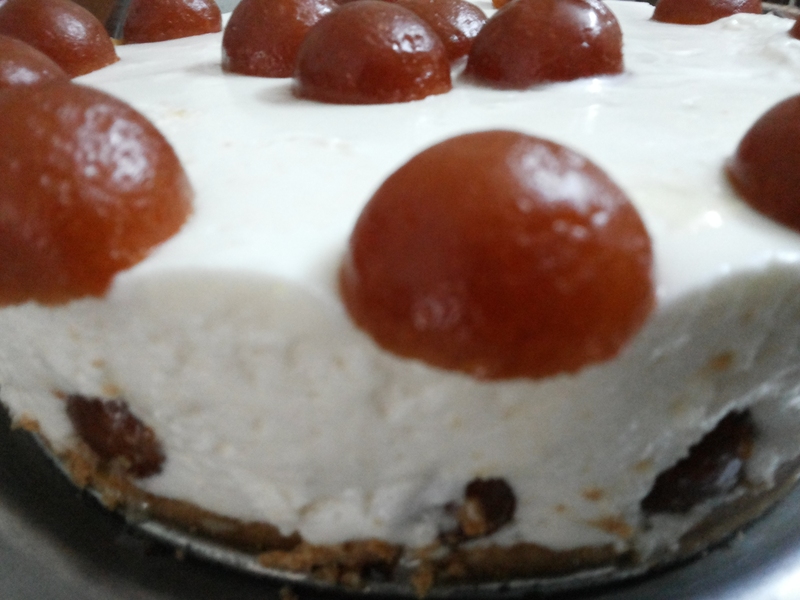 Cut the Gulab Jamun’s to half and arrange above the biscuit base which is by now nicely frozen .Pour the mixture into the frozen tin, cover & chill in fridge over night. 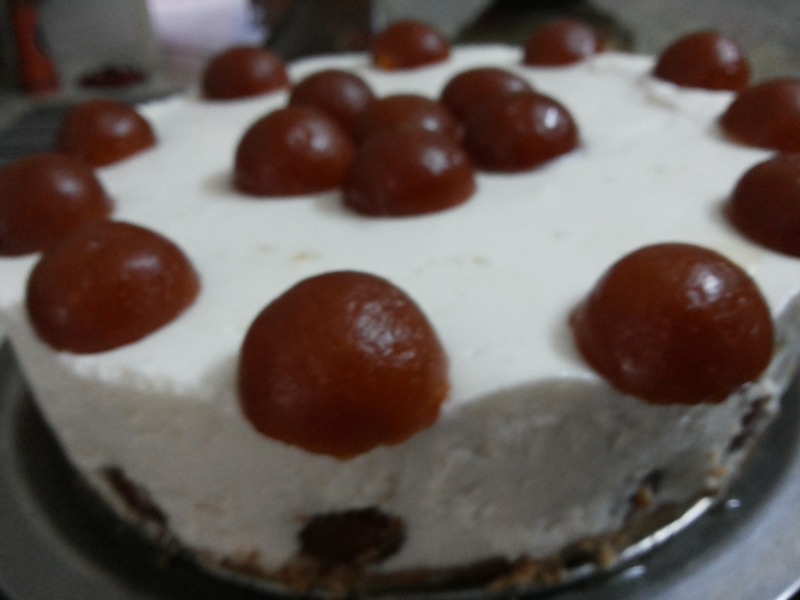 Garnish it with gulab jamun before or after you remove from the mould.